My earliest memories of music relate to hearing AM radio in my parents car and the first reggae song I ever heard on the radio (and later on their small hi-fi stereo) was most definitely 'Mother and Child Reunion' by Paul Simon which reached #4 in the U.S. pop charts in 1972 (it hit #5 in the U.K. charts). The song (which still sounds timeless every time I play it) emerged from a series of recording sessions that Simon did with Jamaican studio musicians on a visit to Kingston in 1970. It remains one of the very first songs by a white American musician to feature prominent elements of reggae (Johnny Nash had a hit ahead of Simon with 'Stir It Up' and later with 'I Can See Clearly Now' also recorded with Jamaican session musicians) and served as a template for future Simon recordings that used different musical genres (most notably South African music) for creative inspiration. The popularity of the song is likely due in part to the contrast of its infectious upbeat sound featuring the distinctive stuttering lead guitar introduction, the backing vocals featuring Cissy Houston (mother of singer Whitney Houston) and the song title which is both intriguing and comforting despite the unnamed tragedy it relates. 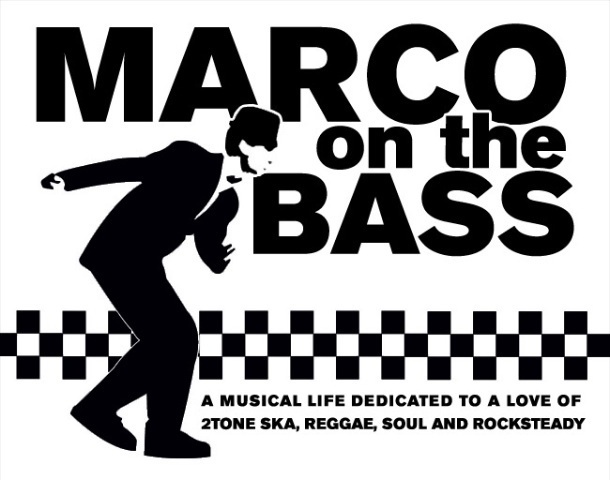 The song had quite an impact on American audiences in 1972 who were still quite unfamiliar with the sound of reggae and rocksteady though it didn't hurt that the song was the first single taken from Simon's very first solo album following his break from Art Garfunkel. The song was recorded in Jamaica with Leslie Kong's Beverly Studio band known as The Dynamites who were led by guitarist Huks ("Hux") Brown. The band included bass player Jackie Jackson; Winston Grennan on drums; Neville Hinds on organ; Denzil Laing on percussion; Bobby Ellis on trumpet; with Val Bennett and "Deadly" Headly Bennett on saxophones. The Dynamites recorded Desmond Dekker's 'Israelites', followed by Johnny Nash's 'Hold Me Tight', Dave & Ansel Collins' 'Double Barrell', and many classic tracks with Bob Marley and the Wailers. When Toots Hibbert of Toots & The Maytals was released from prison after serving two years for marijuana possession, the Maytals made Hux Brown & The Dynamites their backing band. 'Know where the words came from on that? You would never have guessed. I was eating in a Chinese restaurant downtown. There was a dish called "Mother and Child Reunion." It's chicken and eggs. And I said, "Oh, I love that title. I gotta use that one." "[L]ast summer we had a dog that was run over and killed, and we loved this dog. It was the first death I had ever experienced personally. Nobody in my family died that I felt that. But I felt this loss — one minute there, next minute gone, and then my first thought was, "Oh, man, what if that was [my wife] Peggy? What if somebody like that died? Death, what is it, I can't get it." And there were lyrics straight out forward like that. 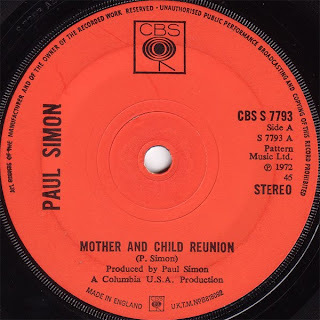 The chorus for "Mother and Child Reunion" — well, that's out of the title. Somehow there was a connection between this death and Peggy and it was like Heaven, I don't know what the connection was. Some emotional connection. It didn't matter to me what it was. I just knew it was there." Given the reggae and rocksteady sound of the song, its no surprise that it inspired a number of early 70's Jamaican cover versions including a much faster version recorded by The Uniques (featuring members of The Pioneers) as well as a slightly slower and soulful version recorded by Horace Andy. Man, I was just listening to this song in a cafe and I _had_ to know more about the band. What a great article! This is a true misheard lyric story. My youngest son heard this song and said "I guess Paul Simon must be a terrible alcoholic." I said "why on earth would you say that - that's not at all true" and he said "because he can't remember a Saturday...."